I may have mentioned here before that, in my real life … that is the one that pays the bills and keeps a roof over my head, I work in a kitchenware shop. This can be dangerous territory for the avid cook, surrounded on a daily basis by beautiful crockery, cutlery, glassware, pots and pans, and a gadget for just about any purpose you might care to mention - many of them useful, others … well, maybe not so much. To be perfectly honest (and in saying this I mean no disrespect to my employer whatsoever), I don't personally see the point of accumulating an egg slicer, a strawberry slicer, a mushroom slicer and a banana slicer, when one good chef's knife will do the job of all four gadgets and a whole lot more besides. But there are people out there who clearly have bigger drawers and deeper pockets than I do, as these are all popular products, and who am I to knock it?! You can imagine that, working in this environment, it would be easy to be splashing out on a whole lot of unnecessary gadgets, and who amongst can say (no matter how discerning) that we don't have at least one such item gathering dust in the deepest recess of a kitchen drawer. So generally my rule of thumb for purchasing a new gadget is that its primary function has to be something that I would use a lot, or that it should be capable of performing a variety of tasks. One gadget that I've had my eye on, since it came into stock a month or so ago, is this Chef'n Pocket Maker. This little gadget is used for making little pies, empanadas, gyozas, etc, and the minute I saw this my mind was abuzz with possible fillings and uses. As luck would have it, I got to trial one yesterday, and I'm so in love with this product I can't wait to get back to work tomorrow to buy one. Yes, really, and no one has paid me to tell you this!! The Chef'n Pocket Maker is available in New Zealand from Stevens Homewares stores nationwide, elsewhere from Amazon. Want to see it in action? Check out this video. Aside from the little pot-sticker dumplings I'm sharing with you today, you could also use this gadget for these Fig & Blue Cheese Wontons, these Spicy Vegetable Samosas, individual versions of this Greek Spinach & Feta Pie or this Broccoli, Leek & Blue Cheese Pie, even a variation on these Lemon & Goat Cheese Ravioli. As luck would have it our theme this week at I Heart Cooking Clubs is tarts and pies, and I have liberally interpreted this to include anything enclosed in some kind of pastry. Leafing through my collection of Donna Hay books, there was all manner of delicious tarts and pies to tantalise the tastebuds, but it was the Prawn & Chilli Pot-Sticker Dumplings from marie claire dining (which I believe has now been republished as Donna Hay Entertaining) that really took my fancy, as well as providing the perfect opportunity for test driving this great little "gizmo". I made only a couple of small changes to the recipe, really just adjusting a few quantities to suit what I had on hand and my tastes, and also leaving out shallots as I didn't feel they were necessary and really there is more than enough flavour comes through from the coriander and chilli jam. I think the addition of shallot would completely kill the delicate flavour of the prawns. 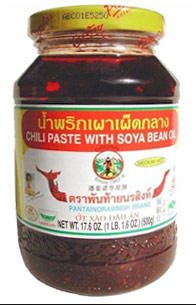 Speaking of the chilli jam, I used my own homemade chilli jam which you can find here, but I have also used this chilli paste in soy oil before which is readily available in most Asian shops and which I think would work well. 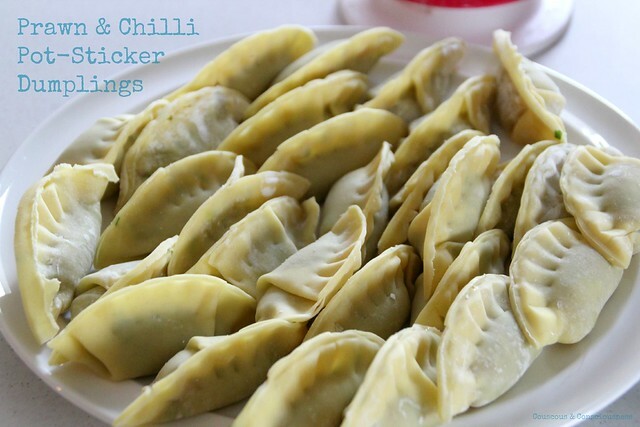 These dumplings were incredibly delicious, and although we ate them as a meal accompanied by an Asian-style slaw, they would also be great to serve as an appetiser or party-pass-around, or even to take for a picnic. 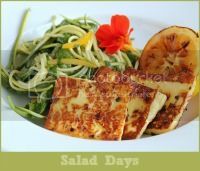 Served with a dish of chilli jam, your favourite Asian-style dipping sauce, or even sweet chilli sauce, these make a truly delightful snack or light meal. Place prawn meat, ginger, coriander, chilli jam, sake and soy sauce in the bowl of a food processor, and pulse a few times until everything is coarsely chopped. Take care not to overdo it - you don't want to end up with fish paste - your filling should still have a little bit of texture to it. If making dumplings by hand, place a small spoonful of filling on each wonton wrapper. Mix the cornflour and water together to make a paste, and brush paste around the edges of the wrapper. Fold the wrapper in half, and then pleat the edges into form a fan shape, pinching the edges firmly to seal in the filling. If using the pocket maker, proceed according to the following illustrations: Place wonton wrapper on the pocket maker and press down gently in the centre to create the pocket for the filling; place a scant teaspoon of filling in the cavity, taking care not to overfill; bring the sides of the pocket maker together to enclose the filling, squeeze firmly, and peel off the excess dough; open the pocket maker and remove the filled dumpling. Set a large frypan over high heat, and add oil to the pan. Once oil is hot, add the dumplings to the pan, in a single layer, and cook until the bases are golden brown. Carefully pour the stock into the pan and cover. Steam the dumplings in the stock until the dough is tender and cooked through - about 5 minutes. Remove lid from the pan and continue to cook for a couple more moments until all the stock has evaporated. Remove from the pan and serve immediately. 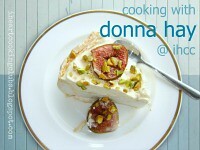 If you would like to get to know Donna Hay a little better, and to see all the scrumptious pies and tarts and pies my friends have cooked up, then visit I Heart Cooking Clubs and check out the links. I'll also be sharing this post this week at See Ya In the Gumbo hosted by the lovely Michelle at Ms. enPlace, Weekend Cooking hosted by Beth at Beth Fish Reads, at Cook Your Books hosted by the lovely Joyce at Kitchen Flavours, and at Foodie Fridays hosted by Designs by Gollam. It certainly makes perfect little pockets! How beautiful. Thanks, Alicia, and thanks for stopping by. The pocket maker is so cute and the wontons look almost as nice as handmade ones. Good gadget! Your prawn wontons are so delicious, I can finish 10 of them at one go! Good choice. Thanks, Joy - I think the pocket maker definitely made better work of the job than my handmade efforts would have turned out - and faster too. They were very delicious, and I have to admit I easily scoffed 10 of them - may even have been closer to 15!! Thanks, Zosia - I think this gadget would be perfect for making pierogi, especially if you have a lot to do. I have to admit that the first four or five seemed a bit fiddly, and I wondered if it was going to be worth the trouble, but like any new toy you soon get the hang of it and get pretty fast with it. I love, love, love pot stickers. And now I think I need this gadget -- pierogi, empanadas, tapas . . . oh my mind is going! 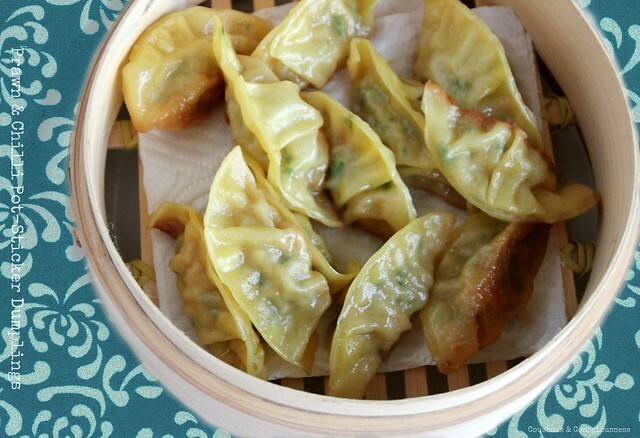 I adore pot stickers too, Beth, and until I made these I had no idea they were so easy to make. Now I know I'll definitely be making them more often, but next project with this wee gizmo is going to be empanadas. Do you have a good recipe for empanada pastry? I love pot stickers. I have made a meal of them many times. I've looked at those pocket pie makers a few times. You may have convinced me to get one! Janel, I've been looking at the pie maker in the shop for a while, but I have to say that it was actually using it that convinced me. Pot stickers are such fun to make. Especially when you have little pie makers like that. I love mine. Yours sound delicious. 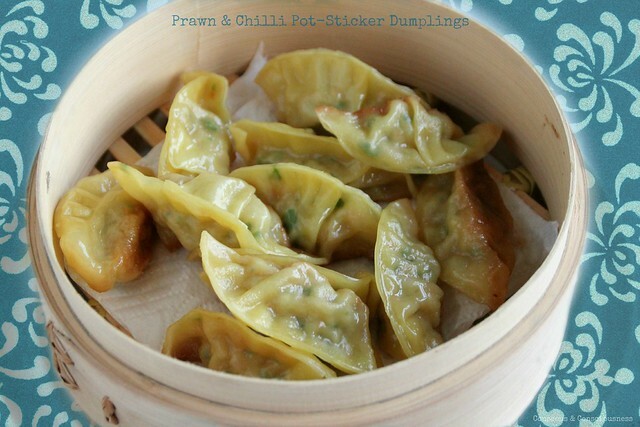 You're right - pot stickers really are fun, and very easy to make - I can't wait to try a few different fillings now. It would be very dangerous for my tiny kitchen if I worked in a kitchenware shop. I totally understand that Diane - it's something of an occupational hazard for me. My cupboards and drawers are bursting at the seams. Kerry Ann, I can vouch for the fact that big boys love these too. They're very easy - I hope you give them a try. Those look great! Pot stickers are probably the thing my husband misses most now that he's allergic to red meat. We can never be sure what's in them so we don't order them from restaurants. I'd definitely want a gizmo to make them at home! Thanks, Joy. I can understand not wanting to order them in restaurants, especially if you have allergy issues, and you can never be sure what's in them. Making them at home, especially with one of these gadgets, is an absolute breeze though and means that you can be confident about what's in them. I have to confess I've never tasted a pot sticker. Hmm, I know, sounds strange, but true. Your gizmo makes them much easier I'm sure. At Christmas one year my husband and I worked at Williams Sonoma and as much as we enjoyed it, their merchandise and discount was so tempting that we spent our entire paychecks (and more) there. Hope you're having a lovely weekend. I could not be surrounded by kitchenware all the time. I would totally buy one senseless gadget after another. I can't help myself. Pam, it's definitely a dangerous place to work. I've certainly surrounded myself with a lot more gadgets, baking tins, and crockery since I started - not the kind of job I recommend if you're trying to save money! They sure look very tempting! I love the seafood filling. Thanks, Angie - I enjoyed the seafood filling too. Looking forward to trying a few other variations now. I absolutely love pot stickers and would devour that entire platter! What a nifty gadget! I usually end up sitting at the counter swabbing the edges with egg white wash and assembling by hand ... labor intensive, to say the least! That gadget looks like a great stocking stuffer for this foodie! Susan, it was certainly very easy to eat a lot of these!! One of the things that I loved about this process was not having to do the washing round the edges to get them to stick together - definitely saved a lot of time and effort. I am going looking for this gadget. Working in a kitchenware store to pay the bills sounds like an oxymoron to me. How do you not spend all your money on gadgets? that would be my downside. I love Donna Hays. I have her book Seasons. Her magazine is too expensive in the US to justify-I think it is $20 a copy. You're right, Esme. Working in a kitchenware store is definitely at odds with trying to pay the bills!! There's definitely a good portion of my wages each week goes back into the till. I have Seasons too, Esme - it's one of my favourites. Did you know that if you have an iPad, you can now get the Donna Hay magazine online - I think it's only about US$20 for a whole year's subscription. PS thank you for your kind words. This little gadget makes them look so great! Mine are always just triangles. This looks delicious… and what great gadget! Thanks for sharing. What a nifty little gadget. I love cooking tools and I used to work part time at Sur La Table and spent all my money on kitchen stuff! The meal looks so good! Gosh, how lucky working at Sur La Table. My daughter introduced me to those gorgeous shops when I was visiting her in San Francisco earlier this year. I would definitely be flat broke if I worked there. In fact I would need a second job to support my habit. Your pot sticker dumplings looks so delicious, Sue! And I like that gadget! I have a few of these too, of various sizes, we use it to make our local savory curry puffs (similar to empanadas) and other sweet puffs,and these moulds are great as they make constant sized puffs! It has been quite sometime since I last used them, thanks for the reminder! Thanks, Joyce. Actually, that is a nice thing about this little gadget is that all your dumplings come out the same size … and the same shape. I would never manage that kind of consistency without a bit of technical help. Not that I've used it, I'm a little bit jealous that you have a variety of sizes - I'm definitely on the look out now for some different sizes. You've given me a great idea too with your suggestion of curry puffs - I need to try that. Before I started reading the post I was wondering how you got your pot stickers so darn perfect looking. ;-) They look fabulous--I love that prawn and chili combination. I would make a meal out of that steamer basket! Awww, thanks, Deb. So now my secret is out … no special skills on my part, in fact even a child could do this, and would probably have lots of fun in the process. The prawn and chilli combo is great - you would love it. I agree, I never saw the point in owning several slicers when a knife is just as easy. This little gadget would get used a plenty in my kitchen! Want! Gwen, the paychecks definitely get a bit thin some weeks :-) In a world of superfluous gadgetry though this little one is a winner - hope you find one. Maybe Santa could stuff one in your Xmas stocking. I must get myself one of those pocket makers tools. I've seen them before but had no idea how it worked. Thanks. Hi Heather. Hope you get one, it's incredibly useful. It's funny though, when they first came into the shop, I wondered how in the heck they worked - when you first see it there really is no clue as to what it's for is there. In fact the pink side pieces remind me of a big pair of false teeth - I initially thought it was some kind of toy. Definitely turns out to be a great play thing though. Thanks, Joy. Yes, I'm pretty sure freezing them would work well. Especially if you were going to use them later for something like a wonton soup, where you could just drop them into a flavourful broth from frozen. I love your dumplings! 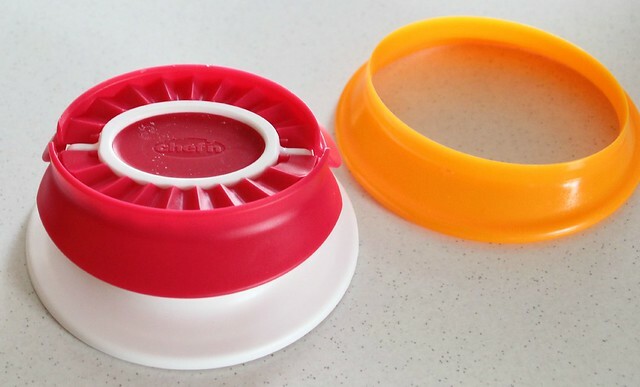 I have a similar gadget at home so it won't be difficult for me to make them as long as I will be able to find the wonton wrapers! What a cool gadget! I have never made dumplings before and yours look scrumptious! Thanks, Pary Moppins :-). I had only made dumplings once before with only middling success and found them a bit fiddly, but this little gadget really made short work of the job. Way cool gizmo! After seeing how it works, I'm convinced that this is something I need. I always have a hard time getting a good seal. Pitiful when your empanadas, dumplings, etc go leaky. Thank you for linking, Sue. I could eat the heck out of these. I've seen those at stores here and have definitely considered buying one! Your pot stickers turned out perfectly!! Thanks, Joanne. If you have even a vague liking for kitchen gadgets you would love this one. I agree with you that a decent chef's knife does almost everything one needs! Although I do find use for an egg slicer from time to time. And I'd probably find use for that cool dumpling gadget! Anyway, love the filling on your pot sticker - so much nicer than what one often sees in restaurants. Thanks for this. I totally agree with you - an egg slicer is something that actually does a better job than a knife I think. The thing I like about these pot stickers, I've discovered, is that when you make them yourself you know exactly what's in them, which is not always they case when you eat them out. 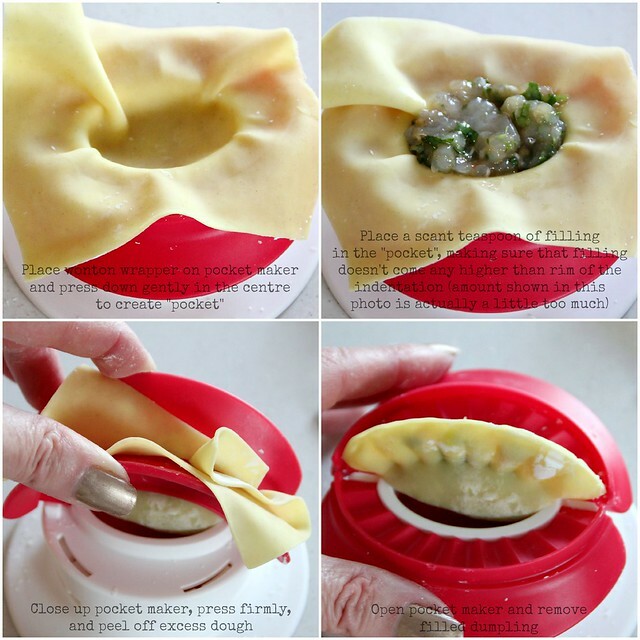 This is fabulous, not only the recipe, but the little folding gizmo! Love it! Oh, your dumplings look divine! Thanks for participating in Foodie Friday and for your sweet comment. Thanks, Michael - I actually can't wait to try them again. I think they might become a bit of a regular weekend feature around here. Thanks so much, Elena. Hope you manage to get your hands on one. I am not much of a gadget girl, but you just changed my mind. These look divine. I LOVE pot stickers and I LOVE to cook. This gadget makes them look so simple to do!!! Gotta have one! Thanks so much, Tess. If you love cooking and pot stickers, you will definitely love putting them together with this little tool. Thanks for stopping by - I hope you'll visit again.